Bright pearly whites are always a covetable quality to have down pat in your beauty routine, but getting them isn't always easy. Professional whitening can be costly and time-consuming—not to mention an uncomfortable option if you have sensitive teeth. If you're looking for an alternative, try investing in a solid teeth whitening kit. We've gathered a handful of our favorites here based on the overwhelmingly positive reviews they've gathered by real women who've used them. From pens to gels to strips, there are a variety of options here to fit whatever your preferences may be. We've even included some natural alternatives to the typically peroxide-based kits. Keep reading for nine of the best teeth whitening kits out there. Alright, this may look a little intimidating (no, those syringes don't contain needles, they're gel tubes), but using this product is a total no-brainer, plus customers have repeatedly noted its near-professional results with 600+ positive reviews on Amazon alone. One user writes, "After the first use, I noticed a major difference, and I'm so happy. No irritation like other whitening products and simple directions." The gel is made with 44% carbamide peroxide, which Cool Teeth Whitening notes is about the same percentage used in professional kits doled out by dentists. 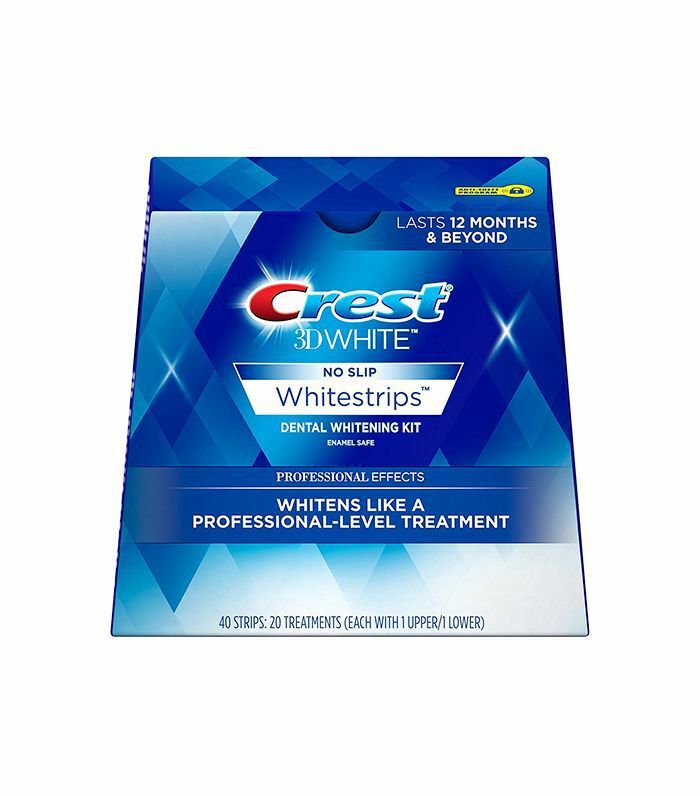 Crest Whitestrips are one of the best-known teeth whitening kits out there—and with good reason. With more than 6000 positive reviews on Amazon alone, this product has gained an almost cult-like status of loyal users who swear by its results. Pre-coated in a whitening gel, these strips are a no-mess, no-fuss version of a whitening gel and tray set. Customer Roxy writes on Amazon, "I drink a lot of coffee, tea, soda, and wine, and I don't want anything less than a bright, white, celebrity-esque blinding smile. These strips do the trick." When it comes to the pinnacle of cutting-edge technology for at-home teeth whitening, look no further than Glo Science's Glo Brilliant Teeth Whitening Device. 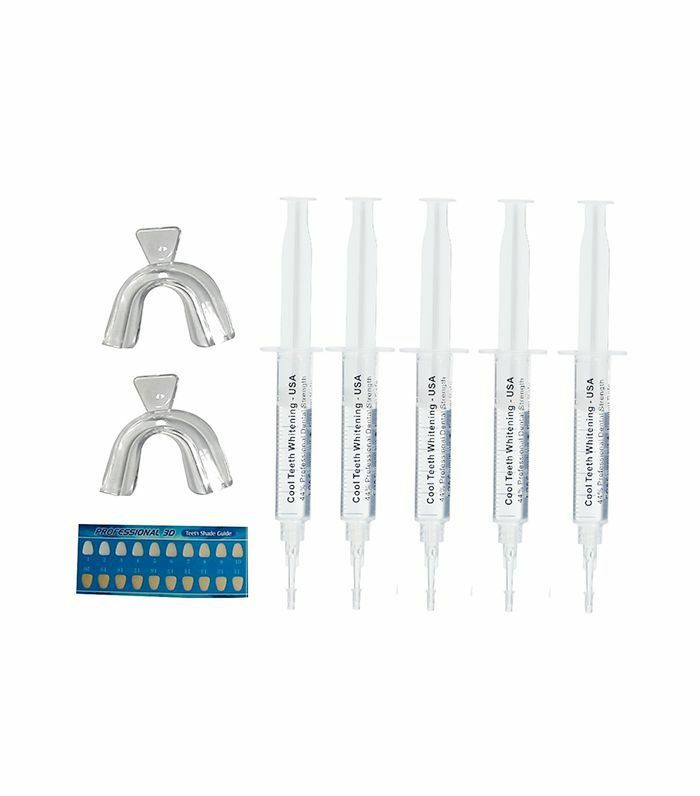 Equipped with a whitening device, mouthpiece, whitening gels, USB charging port, and lip treatment, this kit is the real deal if you're looking to seriously whiten your teeth. 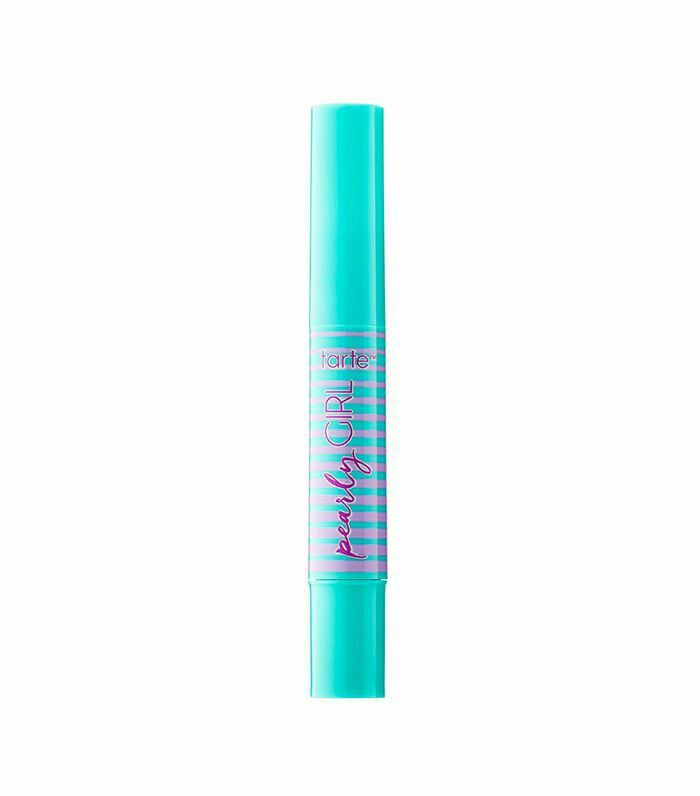 So far it's racked up 400+ positive reviews on Sephora, with fans noting its easy use and quick results. Marilynslifee says, "I used this back in December when I received it and then again in March. Here I am today in May only having used it twice, and my dentist is very impressed with how white my teeth are!" 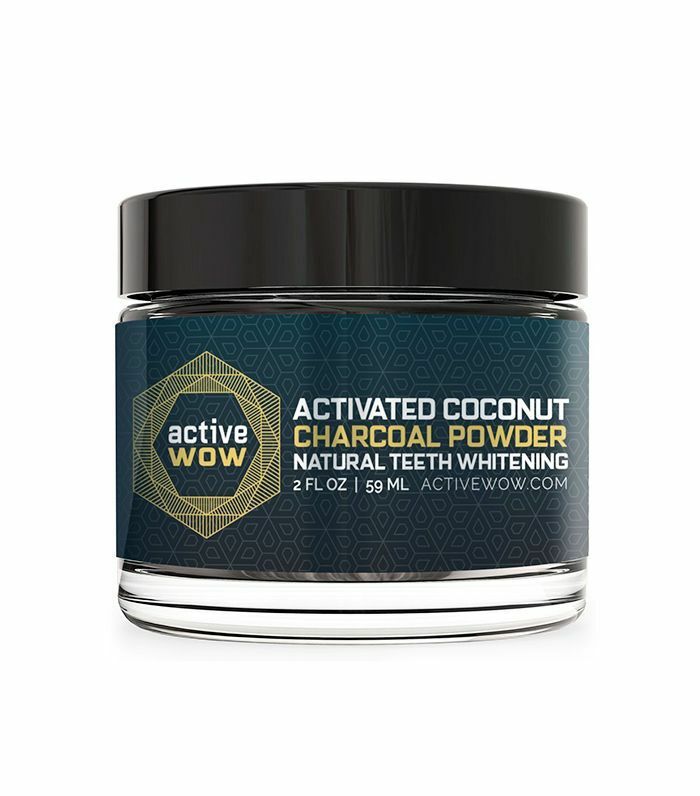 If you have sensitive teeth or are on the hunt for all-natural alternatives to teeth whitening kits, you need to give Active Wow's Teeth Whitening Charcoal Powder a try. Racking up 9000+ five-star reviews on Amazon alone, users can't stop boasting about how speedy its effects are. Jennifer writes, "Seriously, I am amazed by this product. This is just after two uses. Normally, I use whitening strips, but I decided to try this due to costs. I don't think I ever have to go back." If your teeth have been left sensitive by other whitening products, pick this up. Although users comment on its messiness (use a designated toothbrush, and keep mouthwash on hand for rinsing afterward), the results speak for themselves. 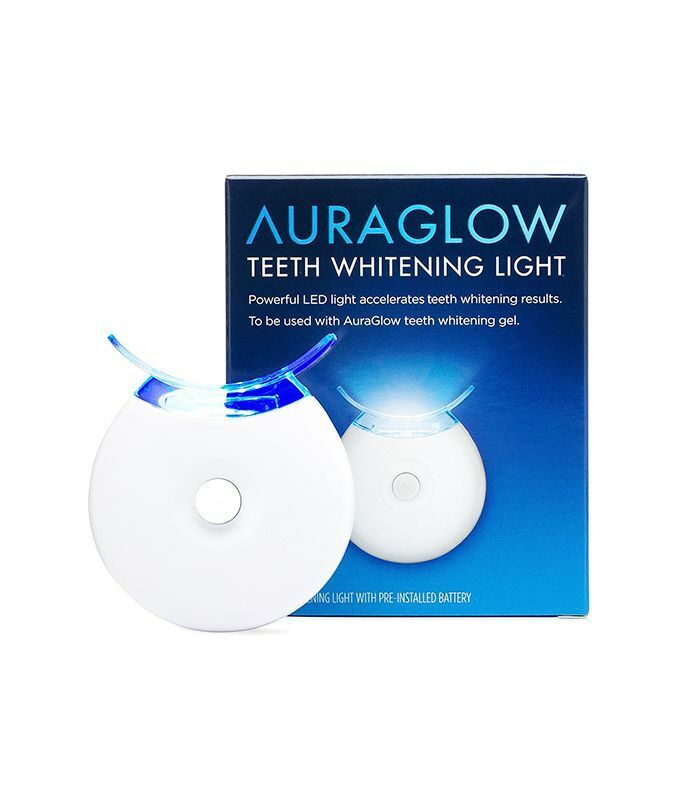 AuraGlow's Teeth Whitening Accelerator Light is meant to be used in conjunction with its Teeth Whitening Kit ($35), which comes complete with gel syringes and four mouth trays. However, the light alone can be used with any teeth whitening gel that contains peroxide, including products like Crest Whitestrips. With 800+ positive reviews on Amazon, AuraGlow's accelerating light has a tremendous following of happy users, including one customer who says, "I have bleaching trays, and I get my bleaching solution from my dentist. Even using 20% gel, I wasn't satisfied with the results. Using the AuraGlow light has boosted the effectiveness tremendously! Very pleased!" 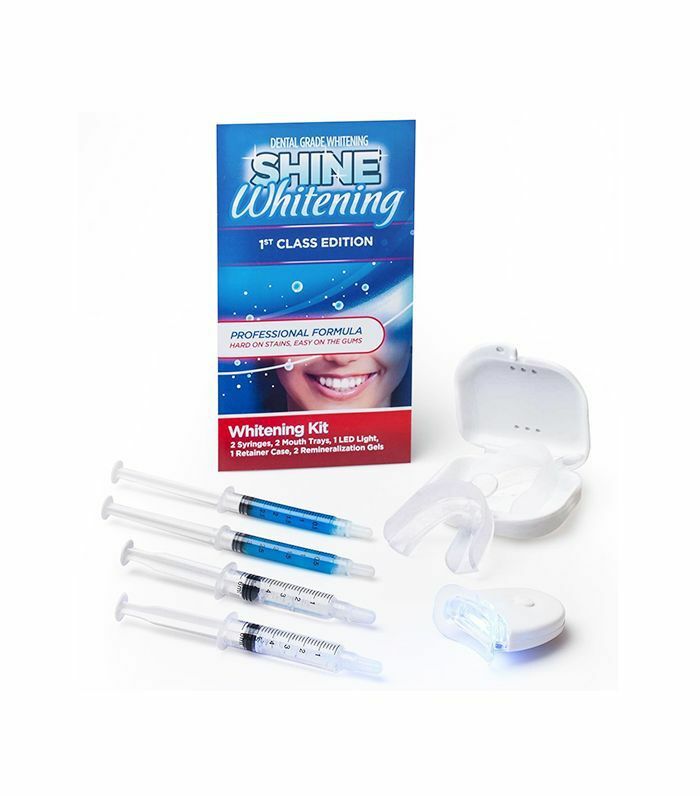 Another whitening product that utilizes gels and trays, this kit by Shine Whitening includes a mouth guard with a case, gel syringes, and an accelerating light. So far the product has received 700+ positive reviews on Amazon with fans noting its fast results and thoroughness. One user writes, "Unbelievably fast results for this coffee, tea, red wine drinker… Today is the third day, and I'm already seeing whiter teeth and am loving how easy and inexpensive it is." If you're looking for an on-the-go alternative to a teeth whitening kit, or if you want a simple way to maintain results from previous whitening, Tarte's Pearly Girl Teeth Whitening Pen is a prime option. 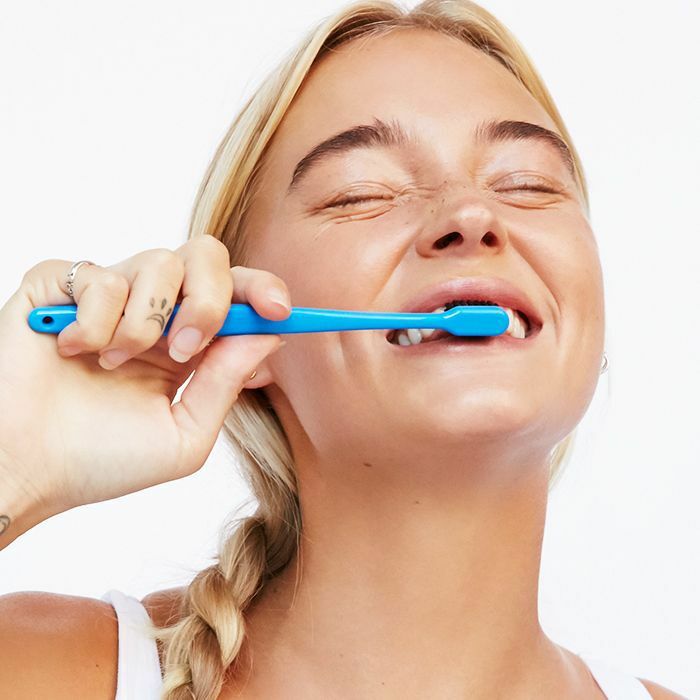 Fans of the product rave about how gentle it is on teeth, with one Sephora user writing, "I have very sensitive teeth and I've experienced zero sensitivity and saw results within minutes!" 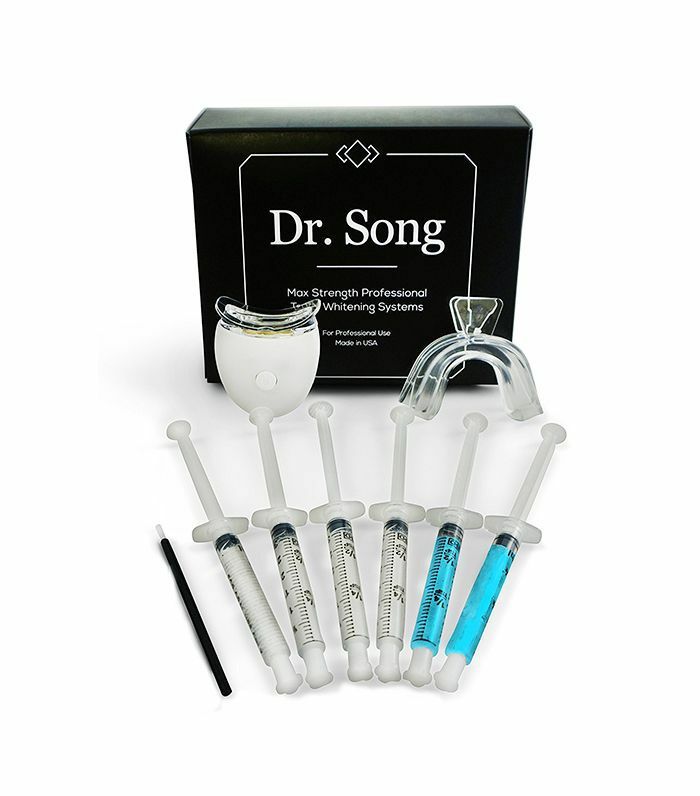 With nearly 1700 positive reviews on Amazon, our curiosity is more than piqued in regards to this teeth whitening kit by Dr. Song. The kit comes with four whitening syringes, two remineralization syringes, a LED light whitening accelerator, and tray. Users of the product have been impressed by how quickly the product works, although it shouldn't be used with already sensitive teeth. One user says, "I only used it two times so far, and my teeth are getting almost as white as a piece of printer paper. That's very good results for someone who has never had this done before. No noticeable sensitivity issues yet." Looking for even more ways to get those teeth sparkling clean? Keep reading to learn how to whiten teeth using five different methods.